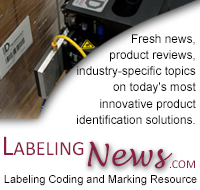 Without the right equipment, bottle labeling can quickly become an inefficient and costly task. The smallest glitch in your bottle labeling process can lead to the displacement of materials as well as hold up production. Every component of the machinery involved in applying labels to bottles becomes an integral part of the success and efficiency of a manufacturing line. LSI offers top-of-the-line bottle labeling machines and solutions to provide dependable, quality bottle labeling systems. The most common factor for misapplied bottle labels is faulty container control. Labels can become easily misplaced if the equipment does not include a sturdy alignment system for the product to pass through. The bottle labeling machines we offer at LSI are designed with the latest technology and engineering to guarantee a seamless production experience. LSI's 27 different standard applicator modules are available for customization in order to fit your unique needs. Our own Research and Development Electronics Laboratory allows us to design our own high-quality electronics that will cater to your specific production line. LSI equipment is versatile and durable, built for 24/7 production environments. LSI takes pride in making sure every detail of your labeling needs are met with quality and convenient solutions. Contact a Sales Representative today; we are standing by to discuss a bottle labeling solution that's right for you.